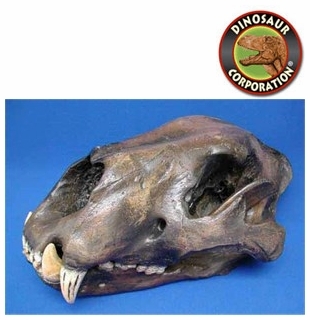 American Lion Skull. Museum quality. La Brea Tarpits, Los Angeles, California. The American lion (Panthera leo atrox or P. atrox) also known as the North American lion, Naegele�s giant jaguar or American cave lion � is an extinct lion of the family Felidae, endemic to North America and northwestern South America during the Pleistocene epoch (0.34 million to 11,000 years ago), existing for about 0.33 million years.